Roger R. Woodhouse, 68, of Cheyenne, Wyoming, passed away early Thursday morning, July 26, 2018, at the Cheyenne Regional Medical Center. Roger was born February 17, 1950, in Cheyenne, son of the late John Woodhouse and Helen (Shearer) Hitt. Roger served honorably in the United States Marine Corps during the Vietnam War. He and his brother-in-law built homes for 35 years as J&R Homes. His interests included camping and fishing. Roger is survived by his loving wife of 50 years, Carrie Ann (Hough) Woodhouse; two daughters, Ashley Woodhouse and Mindy (Billy) Inman; brother, Randy (Gay) Woodhouse; sister, Patsy (Joe) Grant; and four grandchildren, Hollie, Brice, Elliott and Cooper. He is preceded in death by his parents; two brothers; and one sister. A memory service will be celebrated on Wednesday, August 1, 2018 at 1:00 p.m. at the Lakeview Chapel at Schrader, Aragon and Jacoby Funeral Home. Following the service there will be a reception held at the American Legion Post #6. Cremation is under the care of Schrader, Aragon and Jacoby Funeral Home. 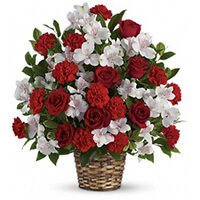 To send flowers to the family of Roger R. Woodhouse, please visit our Heartfelt Sympathies Store. We are so sorry for your loss. We are sending prayers for all of you as you go through this difficult time. Sincerely, Neil and Jackie. I’m so sorry for your loss. I hope you find in Jesus words at John words at John 5:28,29. Imagine being reunited with your loved one right hereon earth! That’s what Jesus promised, that all those in the memorial tombs ( which are on earth) will hear his voice and come out. If you would like to learn more about this this hope, please visit jw.org. Please accept my condolences. Carrie, I was so saddened to hear about Roger's passing. Please know that you and your family are in my thoughts and prayers.